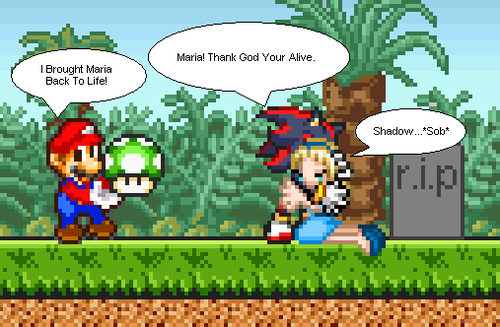 Maria's alive!!. Hmmm mario bringed maria alive, least shadow is there to comfort her. Wallpaper and background images in the Sonic the Hedgehog club tagged: sonic hedgehog sega shadow maria. Sonic vs Shadow of Sonic vrienden with Shadow? ?